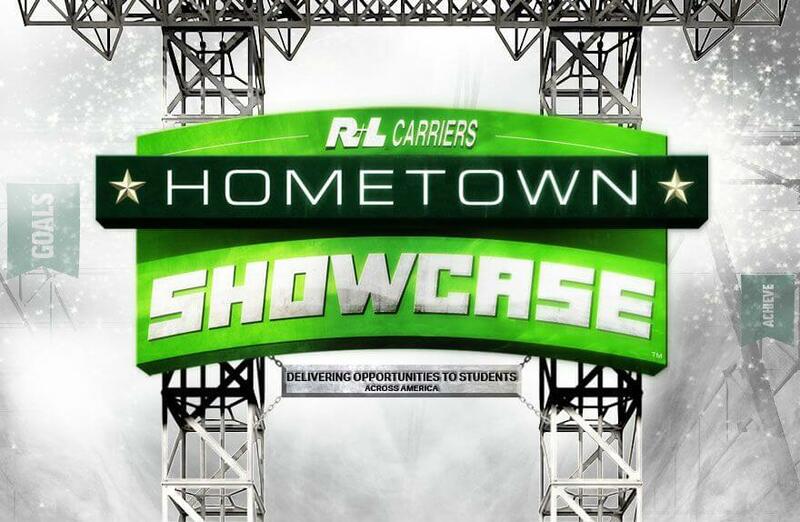 The R+L Carriers Hometown Showcase visited the newest R+L Carriers service center in Sanger, Texas over the weekend. Located directly north of the thriving Dallas/Fort Worth metroplex, this service center will help R+L Carriers continue to exceed customer expectations and provide excellent customer service. Operations for the new service center are slated to begin on April 29, 2019. Operations for the new service center are slated to begin on April 29, 2019. 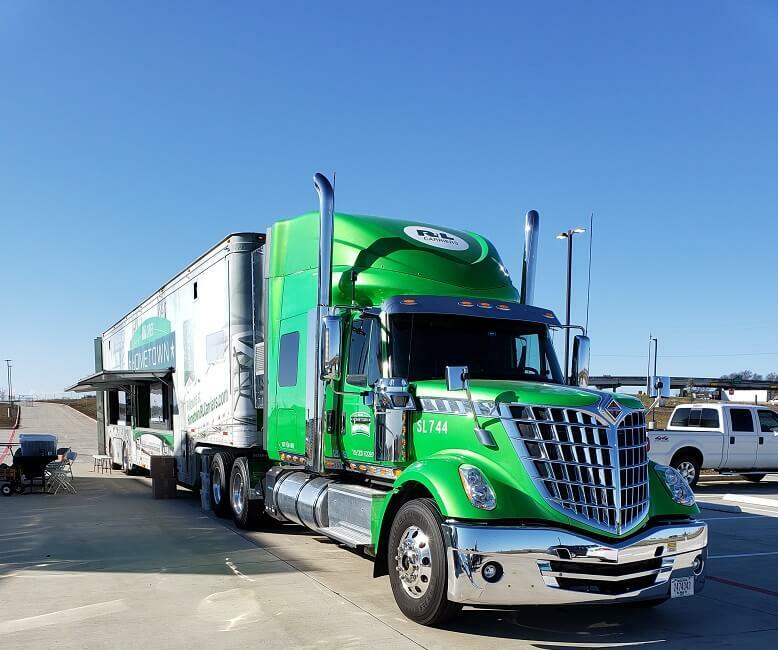 If you are interested in applying for a position, please visit our Career Site or reach out to the R+L Carriers Recruiting Department at 866-200-1600 or recruit@rlcarriers.com. 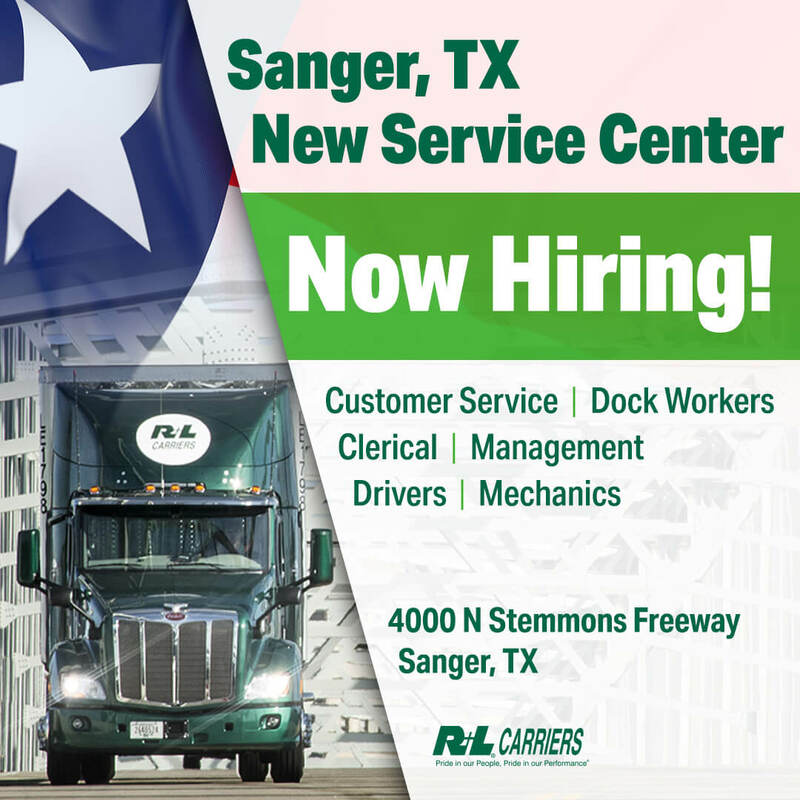 If you are interested in applying for a position, please visit our Career Site or reach out to the R+L Carriers Recruiting Department at 866-200-1600 or recruit@rlcarriers.com. Follow R+L Carriers on social media for the official Grand Opening Announcement in April.